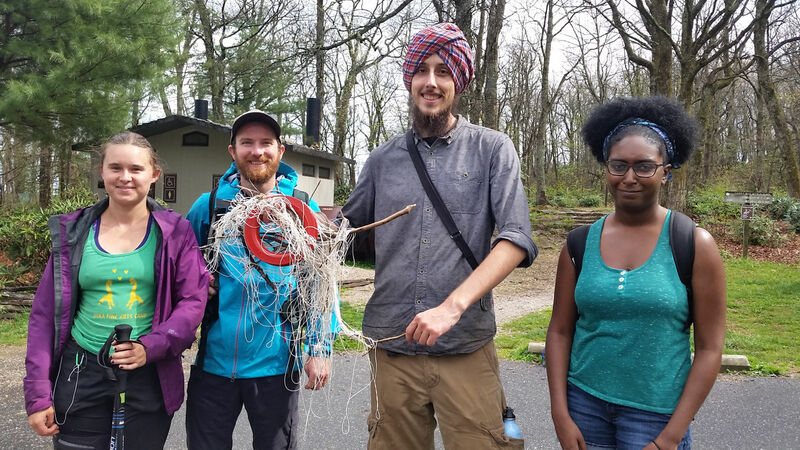 Students from Warren Wilson College were assisted by Wild South as they develop a low impact method for surveying fragile clifftop plant habitat. 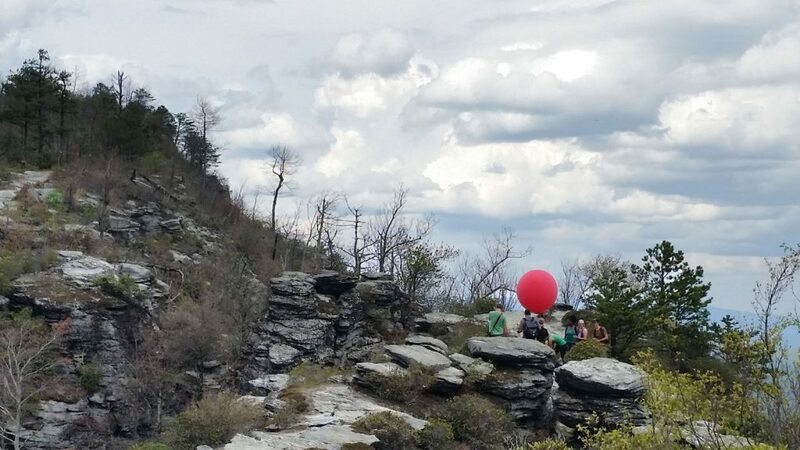 By floating a camera over the area with a helium balloon, detailed images of rare plants and competing invasive plants can be captured for use in monitoring and control. 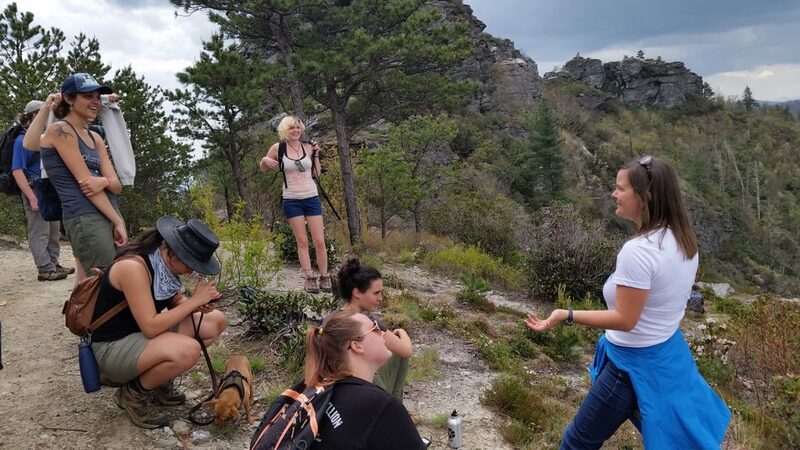 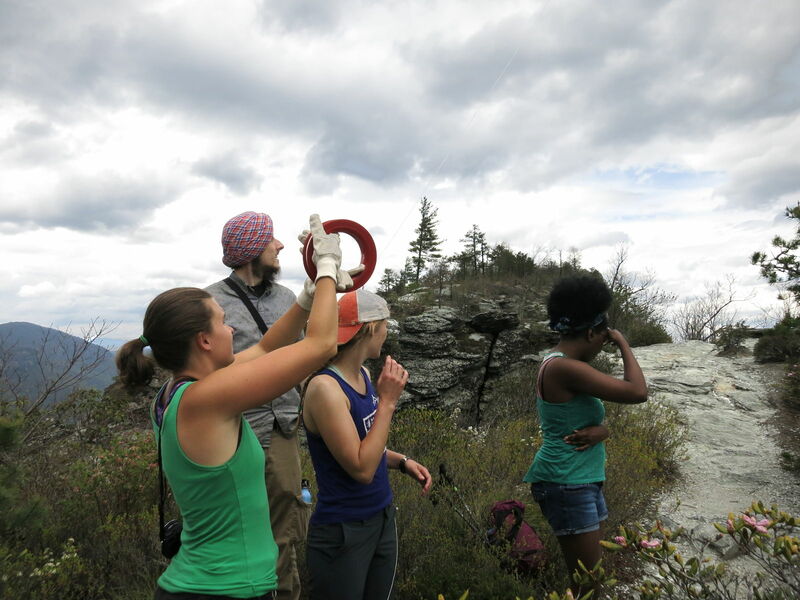 Liesl Erb and her conservation biology class discuss public outreach on the plight of the rare and threatened mountain golden heather, which as the misfortune to grow in an area frequently trampled by hikers. 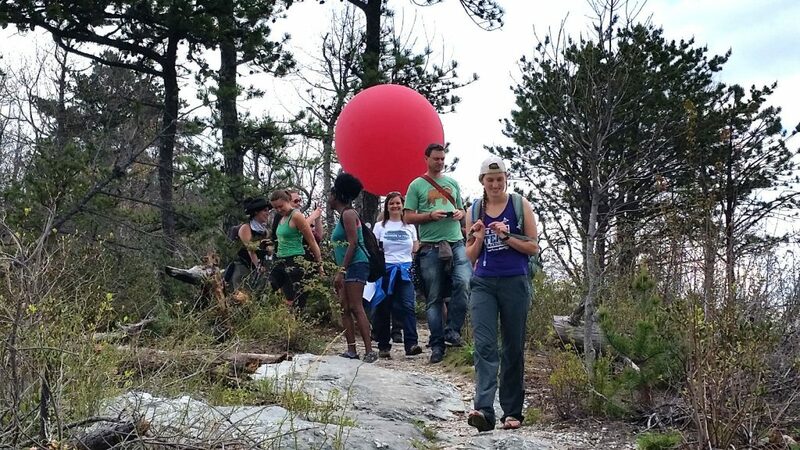 Meanwhile Maya shows great promise as a balloon technician. 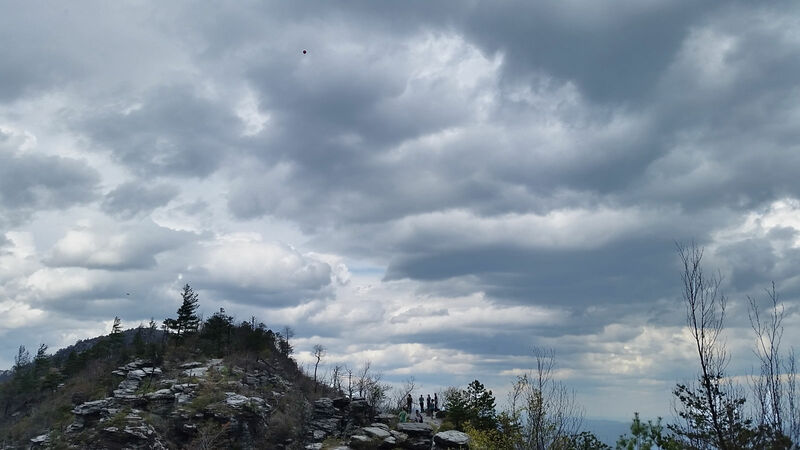 As the balloon soars, storm clouds gather and force a hasty retreat. 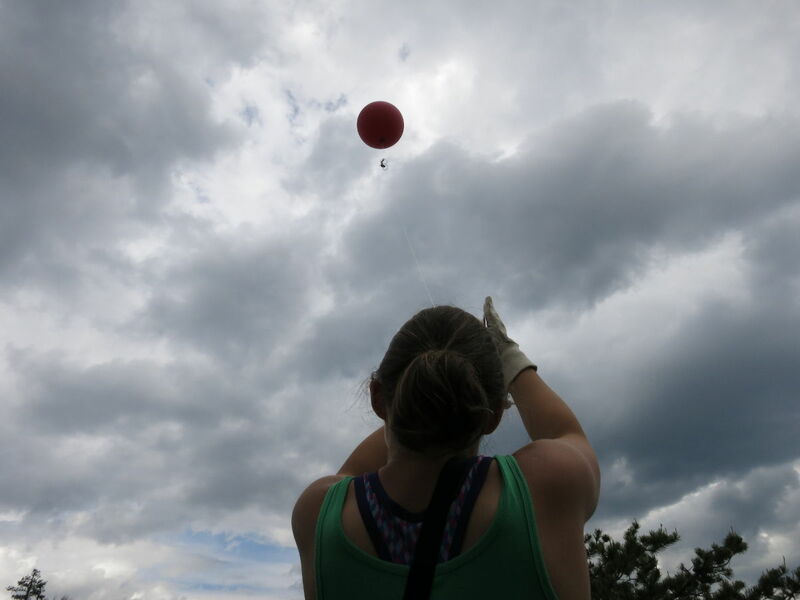 A safe and successful day, but with lessons learned about how to reel in the balloon string without creating a monstrous knot!